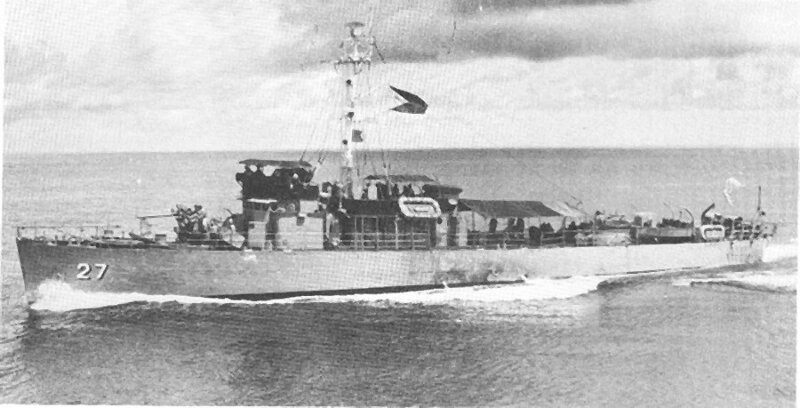 PC-1564 served the Navies of the United States and the Philippines. 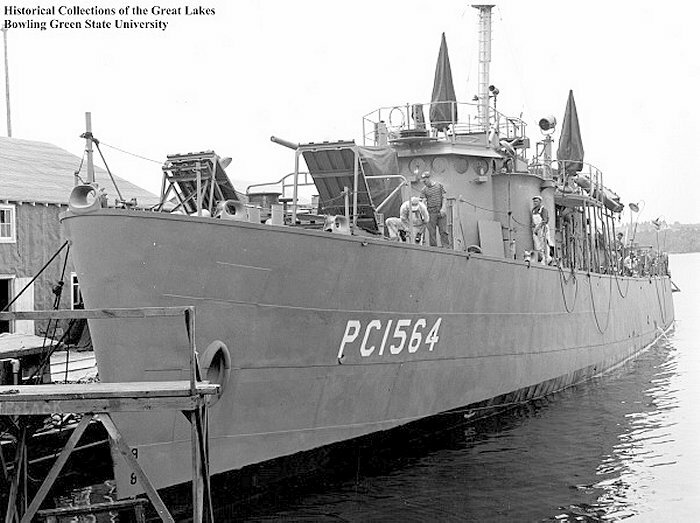 PC-461 Class Submarine Chaser: Laid down, 24 February 1944 by the Leathem D. Smith Shipbuilding Co., Sturgeon Bay, WI; Launched, 19 April 1944; Commissioned USS PC-1564, 4 August 1944; Decommissioned in Spring 1946; Sold to the Philippines 2 July 1947 for $14,210.00 and named Capiz (C 27); Reclassified as a Patrol Craft, PS-27 in 1965. Fate unknown. Specifications: Displacement 450 t.; Length 173' 8"; Beam 23'; Draft 10' 10"; Speed; 22k; Complement 65; Armament one 3"/50 dual purpose gun mount, one 40mm gun mount, five 20mm guns, two depth charge projectors (K-guns), two depth charge tracks, two depth charge projectors (mousetrap); Propulsion two 2,880bhp General Motors 16-278A diesel engines, Farrel-Birmingham single reduction gear, two shafts. © 2006 Josseph M. Radigan © 1996 - 2006 NavSource Naval History. All Rights Reserved.